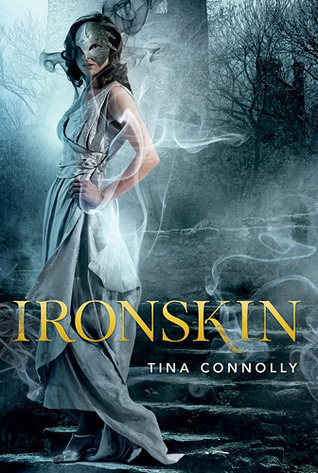 The Best Books Ever: Ironskin- 2 views! Alright, semi-shameful admission time: I've never actually read Jane Eyre. I don't think I've even been able to sit through a full movie adaptation of the story. So knowing that Ironskin is supposed to be a very loose retelling of Jane Eyre was sort of lost on me. I don't know if that's a good thing or a bad thing, though. Perhaps I missed some of the plot nuances and callbacks to the source text, but I also didn't have anything to compare it to, which meant that I didn't have any expectations of what should or shouldn't happen. I liked this book but didn't love it. Tina Connolly's writing is solid and there were many scenes that hit just the right emotional chord -- fear, panic, beauty, affection, desire. Her flowery language certainly fits the tone and style that she's trying to match by calling on Jane Eyre. Unfortunately, there were many parts where the story dragged and dragged, and I just wanted the plot to get a move on. The beginning meanders about as Jane tries to teach Dorie to act a little more normal and a little less cursed. Dorie is difficult, doesn't take direction well, and isn't used to being told what to do, so things are difficult for Jane. If this book were a movie, I feel like all of these teaching sequences with Dorie would be blended into one long training montage, much more quick and efficient than flipping through pages and pages of Dorie acting out and Jane being silently frustrated. For a long-ish book, it didn't feel like much happened until the very end, and then it all happened in such a rush that I don't honestly know that I caught all of what happened. Jane's crush on Edward was expected but still a bit out of left field, given how little time they actually interacted. (The fact that he is never around is actually a plot point in the story.) I can see why she would fall for him, as he's one of the few people who was able to see past her fey curse and iron mask -- it's easy to fall for the first person who treats you like an actual human being. There are lots of little sideplots that felt half-developed, and as I neared the end of the book, I wondered how all of these plots could possibly wrap up neatly in so few pages... and then I realized this was the beginning of a series. I can't possibly figure out what any future books are going to be about, but they're going to exist no matter what I think. This is a relatively clean book, with no harsh language but with some dialogue that could be sexually suggestive or innuendo. There is some violence and one or two pretty gruesome scenes that made me want to read through my fingers. I think this is the part where I shame Sarah for never reading Jane Eyre. Sarah, we need to have a talk. I think that as a reader, you miss a ton out of Ironskin by not having read Jane Eyre- this story is hands down a retelling of the classic. It was interesting to make the connections between Ironskin and Jane Eyre. However, nothing can beat the classic- Ironskin included. It was interesting to see fey as the enemy in this book. So many YA books out there follow the same storyline with fey- a young girl gets kidnapped by the fey and falls in love with a fairy and then *shock* it turns out she is one of them. This is absolutely not that kind of book. The fey are evil and they want to destroy the human race. They look more like energy (described as blue and orange light) until they take over the body of a dead human. I refuse to think of them as zombies though, ha ha. Sarah was right, there were some parts of this book that dragged- especially in the middle. But the anticipation of knowing how the story would mirror Jane Eyre and how it would all work out kept me going. I have to say, I was a bit surprised at some of the turns the story took, especially at the end. About 3/4 of the way through the book, the storyline absolutely became less paranormal and more gothic horror. I was a little caught off guard by that (I can't give specifics, that would give the main storyline away). 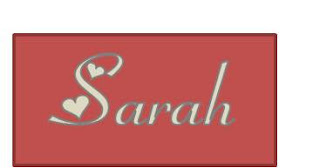 I also agree with Sarah that the end felt very rushed and I am unsure how they will continue with this storyline into a second book. The romance between Jane and Edward had the essence of the romance between Jane and Mr. Rochester, but felt hollow. I knew what was going to happen with them, and yet, I felt that the author could have explored their relationship together a little more. They didn't have nearly enough scenes together to explain their passion at the end. All in all, I enjoyed this book. It was an interesting take on the Jane Eyre story. I enjoyed reading about evil fey instead of the flowery pretty creatures I am used to reading about. I will probably pick up the next one in this series, but I won't be banging any doors down to get to it.